Selectively quit applications, menubar version now available. Is there a better alternative to QuitsApps? Is QuitsApps really the best app in Desktop category? Will QuitsApps work good on macOS 10.13.4? QuitsApps is a utility for quitting groups of applications. You can either use "quit flags" to mark a collection of applications for immediate termination, or create a schedule for quitting applications at different times. Subsequently you can relaunch the last set of terminated applications. 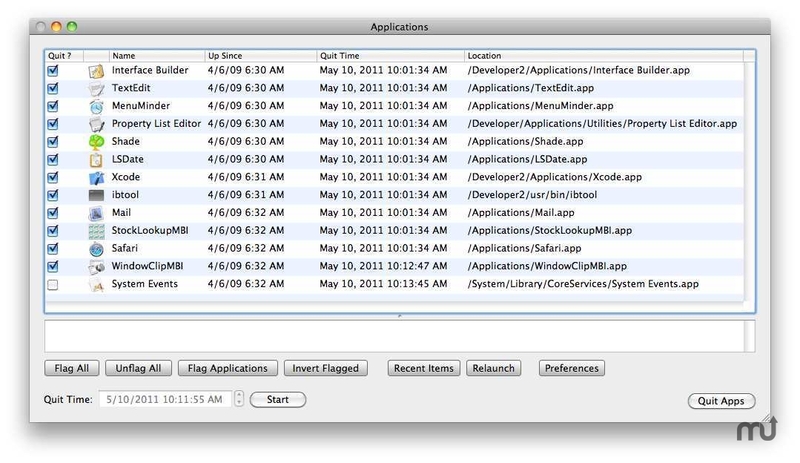 This functionality is also available as a menu in the system menu bar. QuitsApps initially runs for about ten days without a permanent password. QuitsApps needs a rating. Be the first to rate this app and get the discussion started!